When our kids got lost, they followed our Kidpower Safety Plan and went to the cashier to get help. Now I know that if someone tries to bother me on my way to school, I will know what to do to stay safe! Are your kids ready to go out in public on their own? It does not make kids safer to be scared of people they don’t know. How ‘Stranger Danger’ Hurts Kids! Are you worried about your kids’s safety on the Internet? Suddenly you look down and your child is NOT THERE. Usually children get found within minutes, but one of the best ways to avoid that heart-in-your-throat, panicky feeling is to make and practice Safety Plans for every place your kids go. This video shows vivid examples of how Kidpower prepares kids to protect themselves from abduction and abuse (however, it is one of our older videos, so it has outdated statistics). abduction and teach them to be safe both with strangers and people they know. 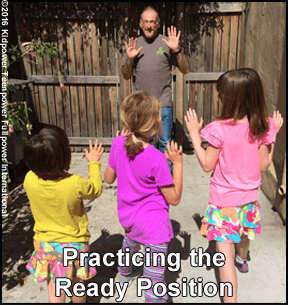 Kidpower’s Self-Defense Lessons Book, One Strong Move, offers cartoon-illustrated, step-by-step lessons for adults to use in teaching kids how to use effective physical skills and wise strategies for stopping an assault and getting to safety. 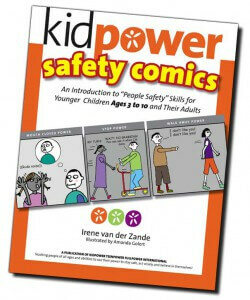 Kidpower and Fullpower Safety Comics give cartoon-illustrated tools for teaching and practicing “People Safety” skills that can stop most kidnapping and assault situations through setting boundaries and getting help. Books 1, 3, and 4 of the Kidpower Teaching Book series specifically provide social stories and skill practices for keeping kids safe out in public with people they know – and people they don’t. (Are you a member? 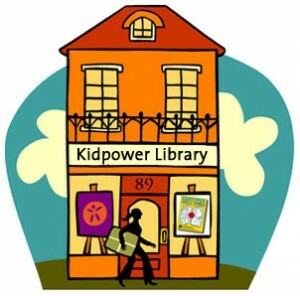 Sign-up or Login for direct downloads and free access to hundreds more Kidpower resources. Kidpower offers a wide range of in-person programs for parents, professionals, children, teens, adults, and people with difficult life challenges based on the specific needs of their families, schools, or organizations. 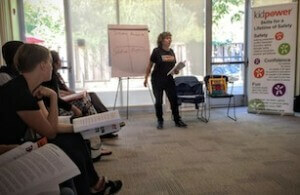 See our California services or other locations to find or set up a workshop. We also provide long-distance seminars, consulting, and personal coaching sessions that can be conducted via video-conferencing, email, or phone. Services also include keynote speakers for conferences, tailored sessions for board and staff retreats, and traveling instructors. Please contact us. Our special 3-day Kidpower Skills for Child Protection Advocates Institute provides an in-depth training for any adult in how to use our intervention, advocacy, and personal safety skills to protect and empower children and teens. Executive Membership includes a Skype coaching meeting on how to use Kidpower resources to meet your specific needs.